Apparently the Great Firewall of China is getting tougher recently. WhatsApp, the popular messenger app that’s being used by over 1 billion people around the world, seems to be blocked (or at least interrupted) in China. Since July 18, 2017, many people started complaining that they could no longer use WhatsApp in China. Some WahtsApp users mentioned that although they could send and receive text messages, sending/receiving images and videos are no longer possible. 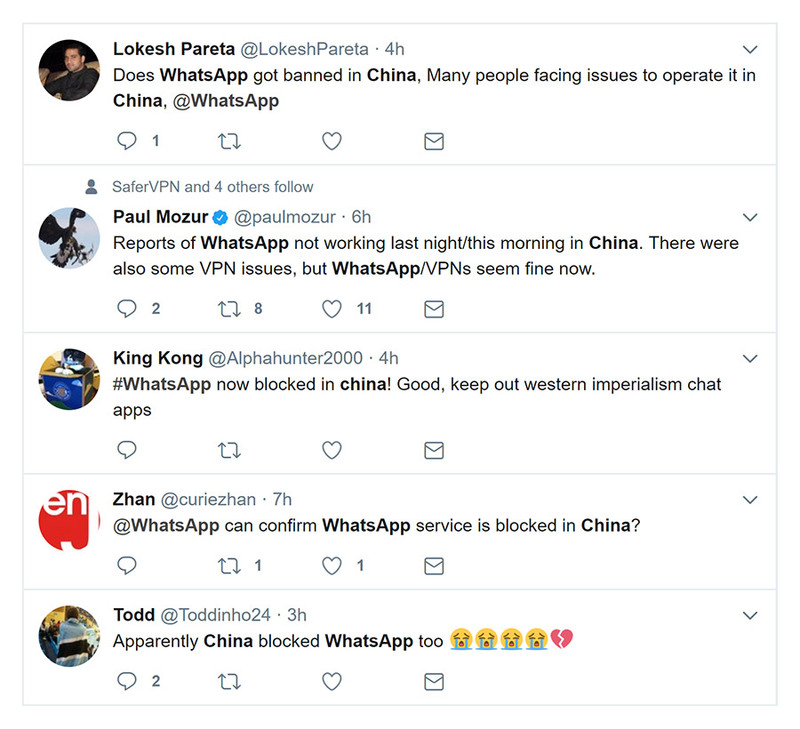 As a result, many people believe WhatsApp is now banned in China. On July 19, 2017, we tried installing the WhatsApp mobile app on an android phone in Shanghai. While we were able to install the mobile app using an installation file provided by Baidu.com, once we reached the step for verifying our phone number, we got an error saying “Unable to connect. Please check that you are connected to the Internet and try again”, which means the connected between the phone and WhatsApp’s server was blocked. Then we connected to a VPN on our mobile phone and tried again. With the VPN on, we were able to pass the phone verification step and was able to use WhatsApp without further problems. Then we turned off VPN, and we were not able to send out any message from WhatsApp. Also, we couldn’t open WhatsApp’s website without using a VPN. Our tests above indeed indicated WhatsApp is now blocked in China. 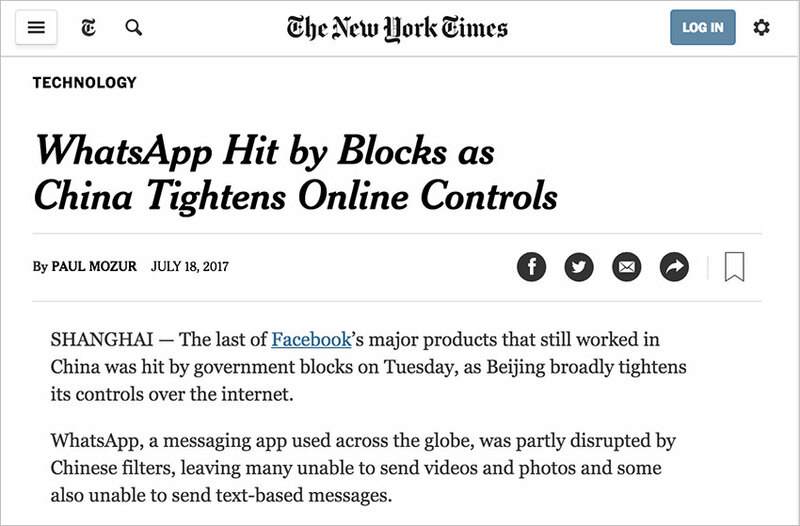 Update July 18, 2017: New York Times just published a news, which confirmed that WhatsApp is now blocked (at least partly disrupted if not completed banned) in China. Update July 20, 2017: Many people reported that they could use WhatsApp again in China. However, WhatsApp’s main website is still blocked in China. This is going to be problem for WhatsApp users in China. Although most Chinese people use WeChat instead of WhatsApp, there’re many people, such as expats, business people and travelers, are active WhatsApp users in China. With WhatsApp being blocked in China, they won’t be able to communicate using this app as usual. Why did the Chinese government block WhatsApp at this moment? It could be related to politics. Based on many people’s observations, whenever the time is close to big political events in China, we will hear more news related to China’s online censorship. About half month ago, GreenVPN, a once popular VPN provider based in China, announced that their VPN service would be closed on July 1st. Then we heard rumor that China ordered local telecom providers to completely block VPN by February 2018, which was then denied by the Chinese government. How to unblock WhatsApp in China? 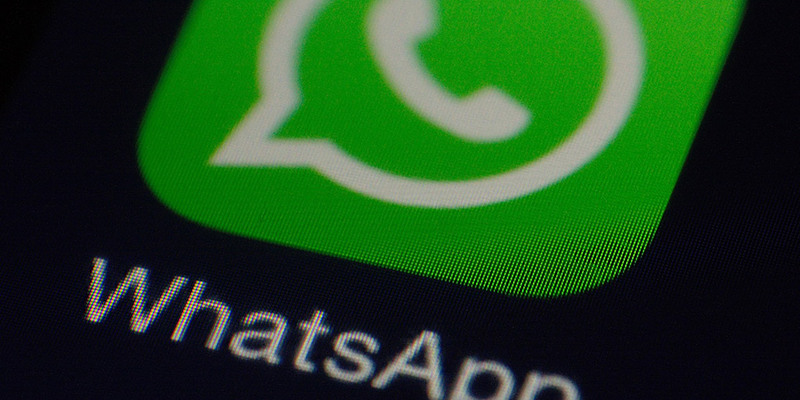 We suggest you use a VPN to bypass China’s blocking of WhatsApp. WhatsApp seems to be blocked in China. We are still now sure this is a permanent ban or temporary block at this moment. For people who need to use WhatsApp in China, we suggest using a VPN to unblock WhatsApp. This entry was posted in News and tagged news, whatsapp. Bookmark the permalink.